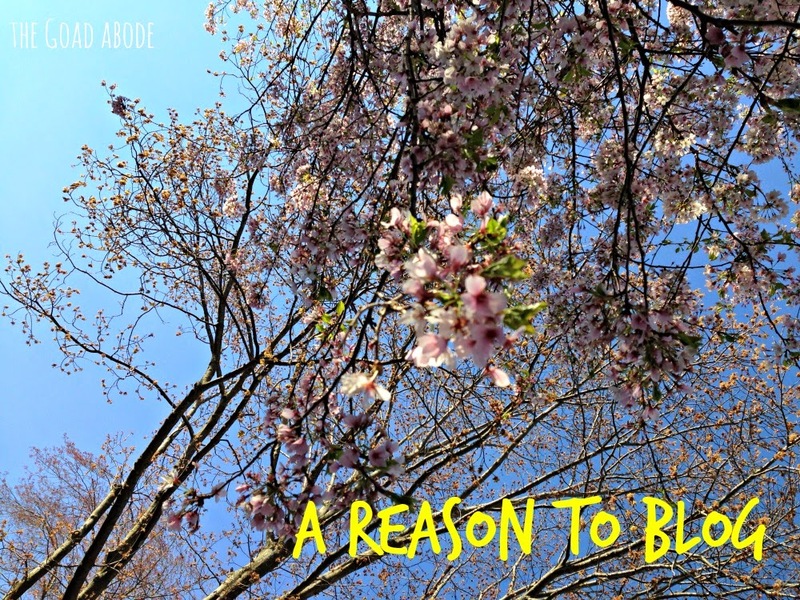 I'm a bit late in getting this post up...but it is still May! As I've mentioned before Mother's Day can be a hard holiday for me, having lost my mother to cancer nearly thirteen years ago. I was both excited to make new memories/traditions with our little family and also missed my mom more than ever on my first Mother's Day as a mom. The day was rather quiet, but one I will always treasure. Maggie and her dad had been fighting colds so we stayed home from church because she was still coughing and had a fun backyard picnic for lunch. Spending time outside is one of Maggie's favorite things to do. Can you tell? My only regret is that we didn't set the timer on the camera and get a family photo to remember the day with. 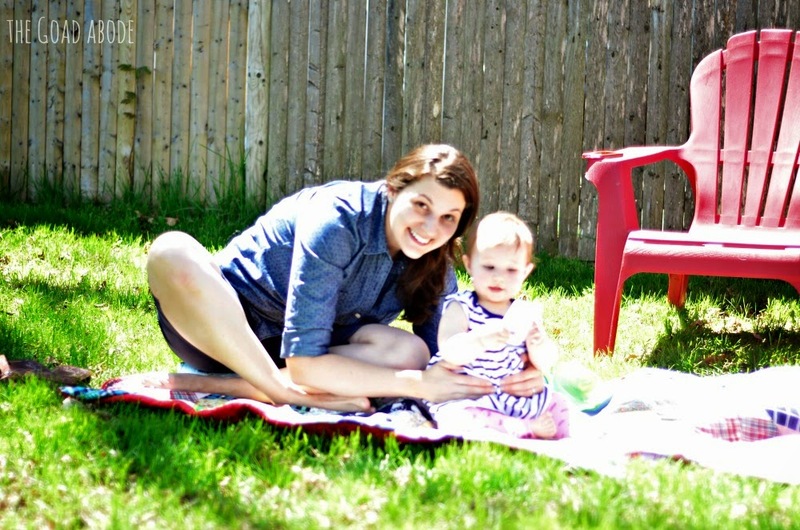 I hope we can make Mother's Day picnics, whether in the backyard or elsewhere, a family tradition. A fun Mother's Day related fact: the quilt we're sitting on in the photos was made by Maggie's paternal great grandma and grandma! Happy Memorial Day! I'm thankful for a day off and spending time with my daughter. We won't be attending a traditional bar-b-q, but we do have plans to get together with one of my former roommates for lunch. If we were staying home all day, we'd probably watch an episode or two of Sarah and Duck, my favorite kids' show. My husband discovered it via On Demand on Comcast and it's the cutest British cartoon with 8 minute episodes. Have you seen or heard of it? All of which to say I anticipate that June will be a quiet month around this blog. Oh, and you can read my guest post at Thrive Moms today. More than three years ago, I started writing here. 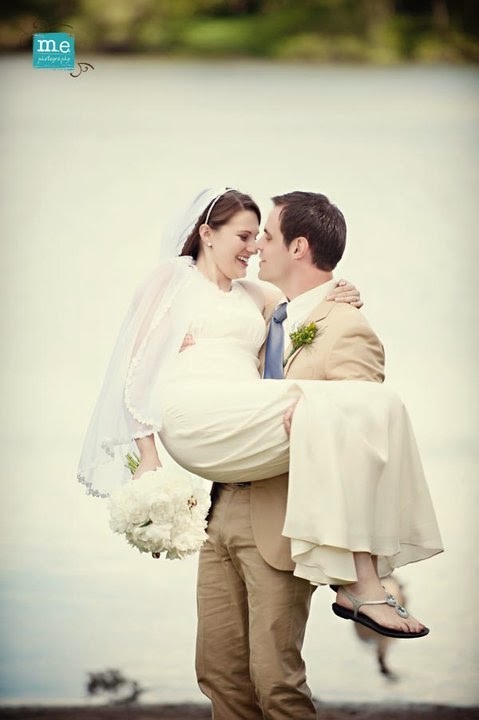 After getting married I went through what I call wedding planning withdrawal; I had become so accustomed to reading wedding blogs regularly (this was before the days of Pinterest) I looked for other blogs to follow. I decided I wanted my own place to share inspiration and write about life as a newlywed after reading other blogs for several months. Over the years, this place has morphed and grown with me. I shared home improvement projects and recipes, as well documented my first pregnancy and first months of my daughter's life. I wrote about losing my mom when I was in college and the impact its had on my life as a young woman and now mother. I used to regularly connect with other bloggers by commenting on their blogs and converse via Twitter. Several months ago, I noticed I was seeing fewer comments and tweets. 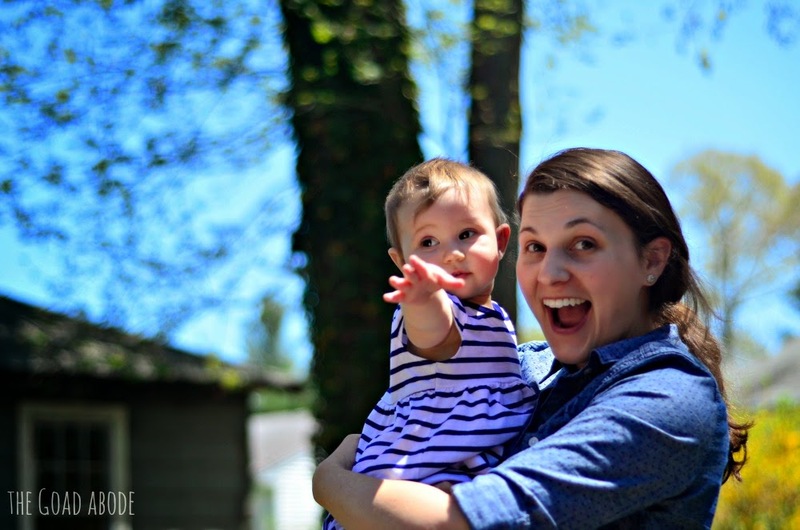 Initially, I thought it was because I had a baby and I was less engaged myself. I found myself less inclined to read blogs or scroll through Twitter when I had a few minutes of downtime. It seemed easier to scroll through the photos on my Instagram feed and leave a comment/like to connect with my online friends. Around the same time, I noticed other bloggers talk about getting fewer comments and how their traffic had shifted to Instagram. As much as I love Instagram, I still enjoy the process of writing so I'll be sticking around. 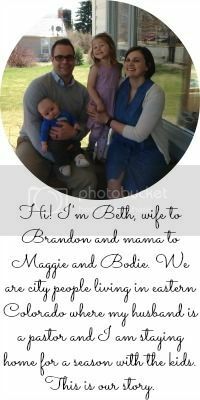 My posts may not be as frequent as they once were (pre-motherhood). Writing allows me to express myself more fully than posting photos and I love the way this space has documented our life over time. 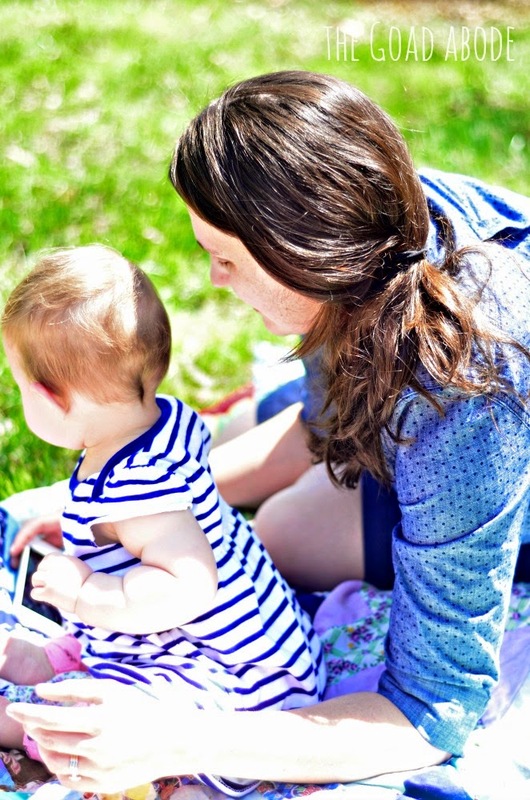 Even if the comments aren't rolling in all the time or my page views aren't what they used to be, I am so glad I've stuck with blogging through my early days of motherhood. I know I'll look back on the things I wrote in this place over the years and be so grateful for the words and photos that have been shared. Are you a blogger turned Instagrammer? 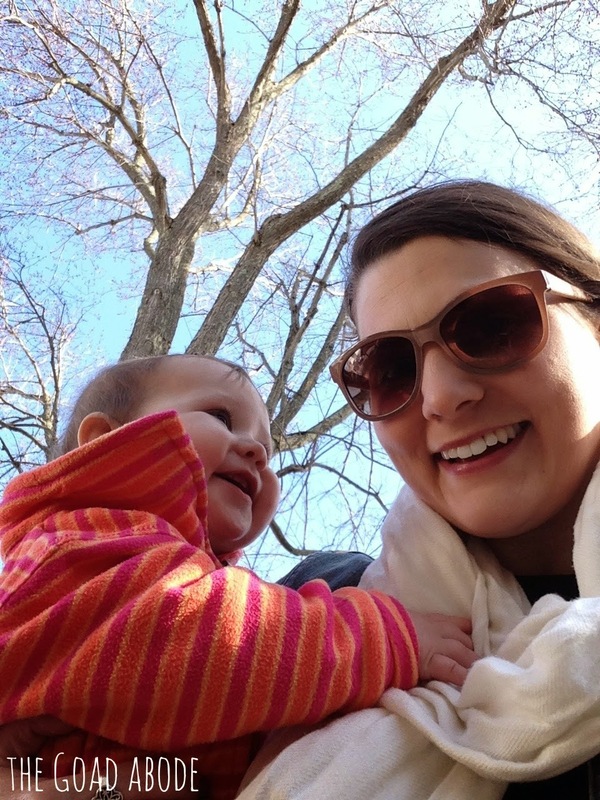 Earlier this week, I came across this blog post from Molly. Admittedly, my life has been quite caught up in my role as a (new) mother. It's no secret to anyone who knows me Maggie has changed my world (and Brandon's). But I needed the reminder kick in the pants that I was and still am a wife first. Right after my relationship with Jesus, my relationship with Brandon is most important. If someone asked Are you a better wife or a better mother? I'd be stuck. The right answer is wife, but at this stage of my life I think about my role as a mother more often. And that means I am probably making more of an effort as a mother. What a hard realization! My day almost always begins by being woken up to my daughter's cries. When I'm not at my full-time job, I want to spend every single minute with her; I don't want to miss a single 'first.' Our ever-changing schedule from week to week usually revolves around which of us parents will be with Maggie or take her to our friend's who watches her while both of us work. Why do I share all of this? Because today marks four years of marriage. As I look back on the last four years, I cannot help but be thankful for all the things we've done and consider how we've grown as a couple. Happy Anniversary, Brandon. I cannot wait to see where the next forty years (and more) take us! Double digits...in months! How did this happen? She is growing up so quickly. As each piece of her personality emerges, we are more and more enamored with her. 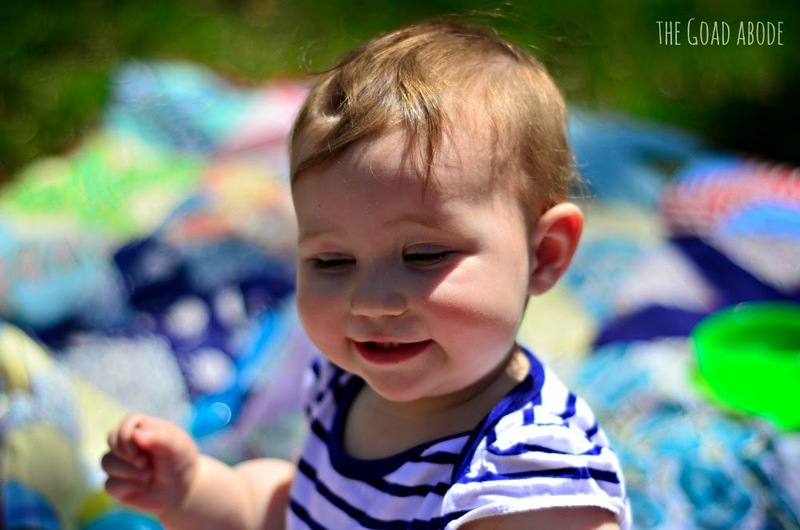 From her giggles to nonstop chatter, she loves to make noise and entertain us. I'm fairly certain Maggie is an extrovert. She loves to smile and wave. Her wave has been called regal, princess like and ready for a pageant. It seems controlled as her wrist rotates delicately back and forth. I'm fairly certain Maggie is the happiest kid. Nearly every time she wakes up she is all smiles (with the exception of when she's had a runny nose). Whenever she hears music, she claps. Maggie has also learned how to feed the dog! After she's been eating for a bit, she'll hold out some food to the side of her chair. Inevitably, Milton comes along and snatches it. Sometimes she laughs or waves her arms with excitement. It's both cute (because she's figured it out) and annoying (because we don't want to create a bad habit). We're working on teaching her 'no,' but also cautious about how much we use it. 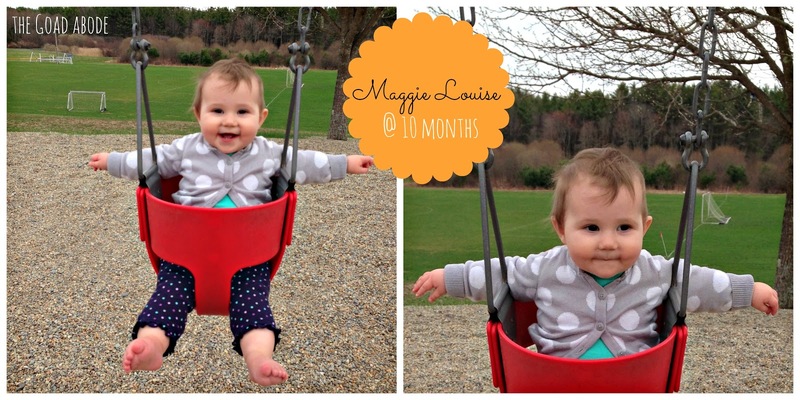 Maggie took her first ride in a swing (see photo above). It was more because I wanted to get a photo (or two), but she seemed to enjoy it. Her first time crawling. She hasn't mastered crawling, but does well scooting to where she wants to be. She's started to try to feed the dog intentionally. It's so cute, but we don't want to encourage it. What's even more cute is that she offers her food to us and smiles so big when we accept. Maggie has developed a love for her cup. 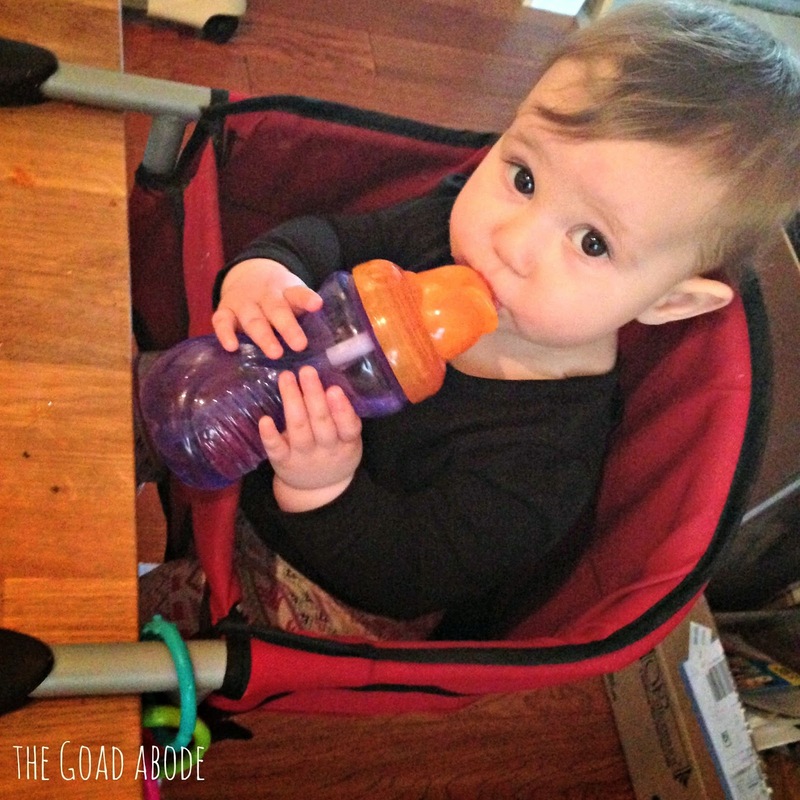 It isn't a sippy cup, but has a straw and she just loves it. 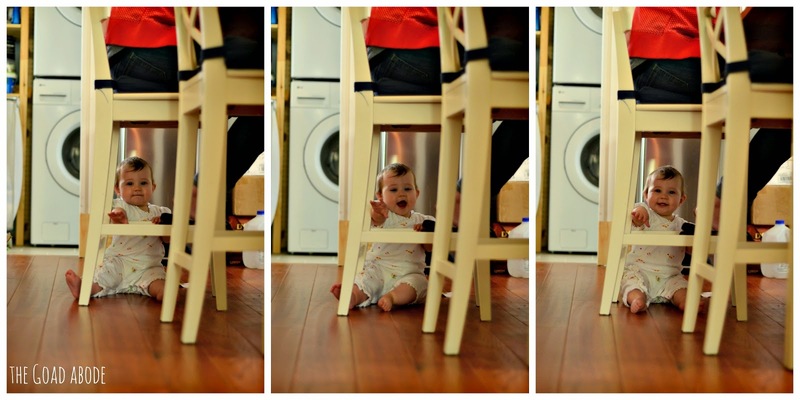 Even before she started crawling, she was surprisingly mobile, scooting from one part of the room to another. Sometimes it would go undetected and you'd wonder "how did you get over there so fast?" As you can see from the photos above, she is content just about anywhere. Grabbing her dad's glasses, a phone or set of keys. It's become a game for me to keep the car keys out of sight when we're going somewhere. It is so fun to watch Maggie discover new things. Today, marks ten months of motherhood. 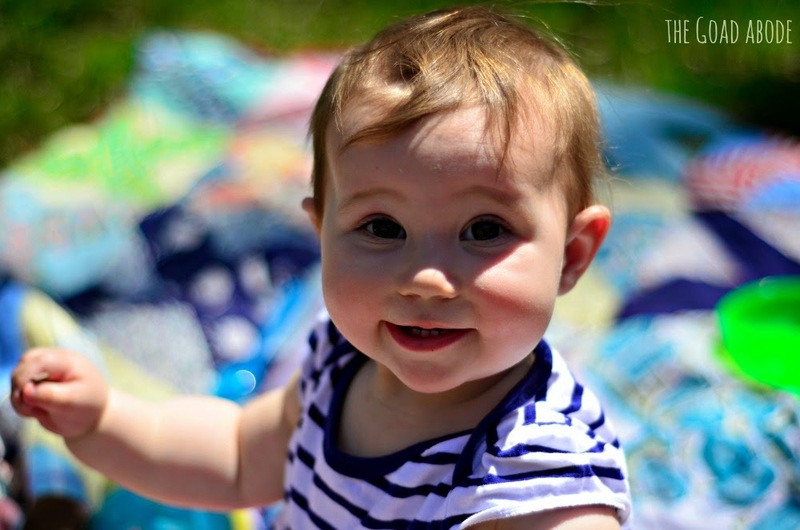 It's been less than a year and someday it will seem like a drop in the bucket, yet I already understand more of my own mom with each milestone my daughter takes on. I find myself surprised by how easy it is to worry and how I feel I can't get enough time with my girl. I'm so grateful to be a mother. Not only for the new perspective on life I have, but for the way it's allowed me to get to know my mom (even though she's been deceased for nearly thirteen years). As great as being a mom is, Mother's Day also brings its share of heartache. For those who long to be mamas, are separated from their moms or have a difficult relationship with their mother, I know Mother's Day can shine an unwelcome light on the feelings that go along with it. And for all of you who are moms, Happy Mother's Day! For years, I've loved the thrill of the hunt when it comes to clothes shopping. I seem to get my mind set on finding a certain clothing item or accessory and will search stores high and low for it. I also love perusing online merchants "just to see what they have." Fortunately (or maybe unfortunately) we don't have a budget that allows for me to spend much on clothing lately, so I've been looking for places to buy high quality, gently used clothing. I recently discovered a new way to shop used clothing. What could be better than a thrift store shopping and looking for an item on your wish list? How about perusing an ONLINE second hand store? 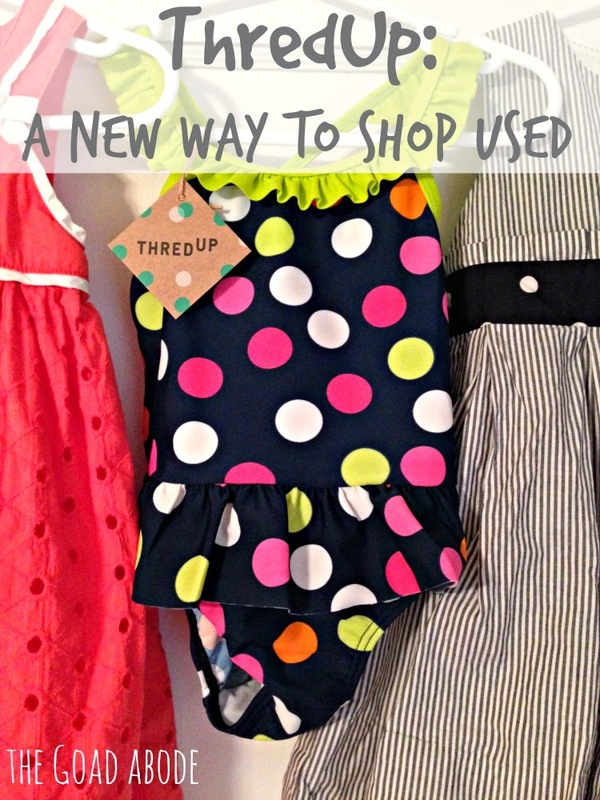 ThredUp is an amazing alternative for buying clothes in gently worn or like new condition. 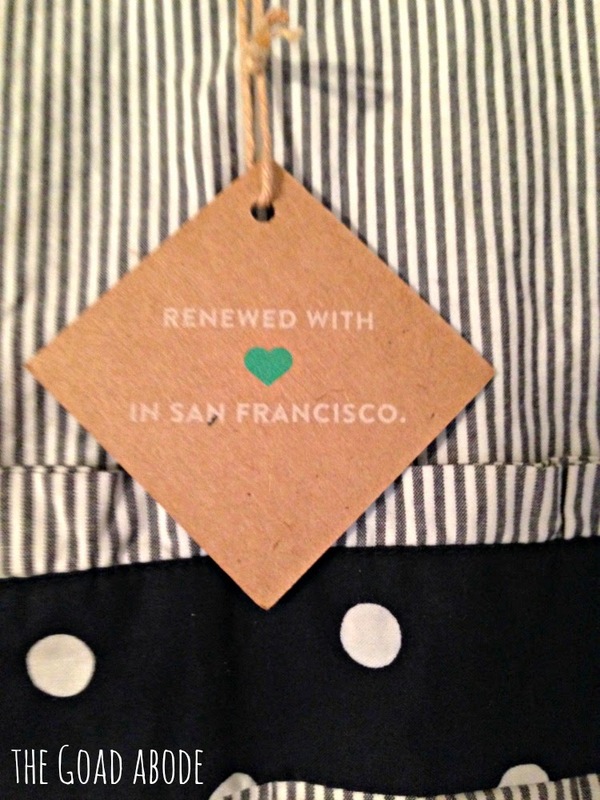 About a month ago, I made my first purchase from ThredUp. I had heard about the company months early when I ordered a free clean out bag to send in filled with some of my own clothes in to be sold. Honestly, I loved everything about the shopping experience! The website is easy to navigate and has a great iPhone app. Items stayed in my shopping cart for longer than I expected. I shopped in the evening and waited to check out the next day. I can earn store credit by telling others about their company (and will do so if you sign up and make a purchase using any of the links in this post). The clothes arrived within a week and were beautifully wrapped in tissue paper. So here's a look at what I bought! 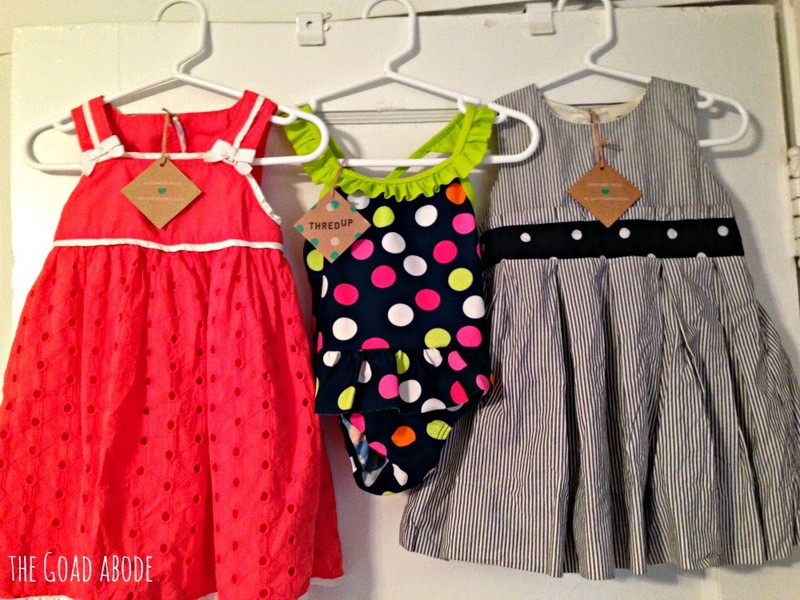 I decided shopping for Maggie's Easter dress was as good an excuse as any to try ThredUp for the first time. I ended up buying two dresses because I couldn't decide which one I liked better. I also found an adorable baby girl's bathing suit. As I mentioned earlier, the package arrived within a week (which I thought was great since it was traveling from San Francisco to Boston). Each item had a cute tag on it (see photo below for detail), was folded neatly and wrapped in tissue paper. It was seriously a great experience and I encourage anyone who is looking for a specific clothing item to check out ThredUp before you head out to the mall (or wherever you usually shop). Prices are reasonable and so is shipping ($2.99 for first item and 99 cents for each additional item). Next time I am looking for a name brand clothing item for myself, I will will certainly check out ThredUp to see if they have the kind of thing I'm looking for. Between the easy to use app and great prices, I was quite happy! Maggie loves books. 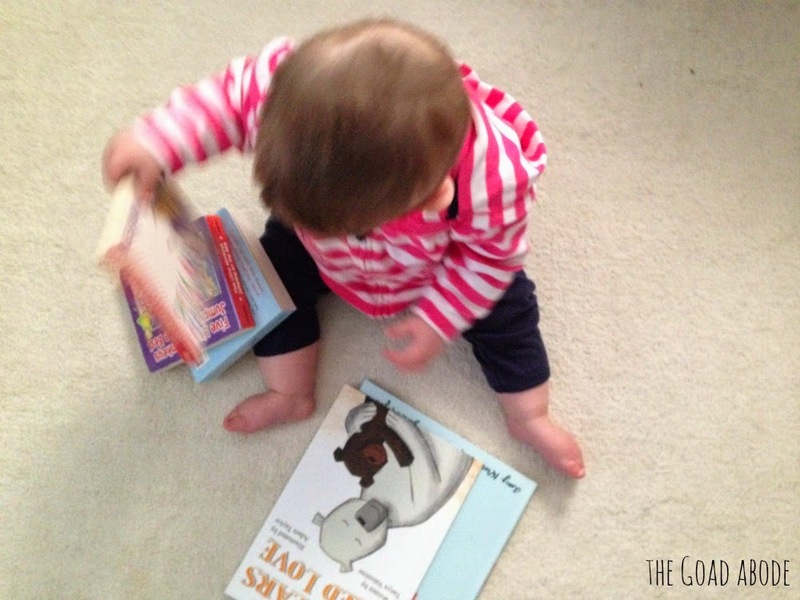 Even though she doesn't always sit still and tends to smack the book pages, I can tell she enjoys having books read to her. She studies the pages and even jabbers while I read to her. 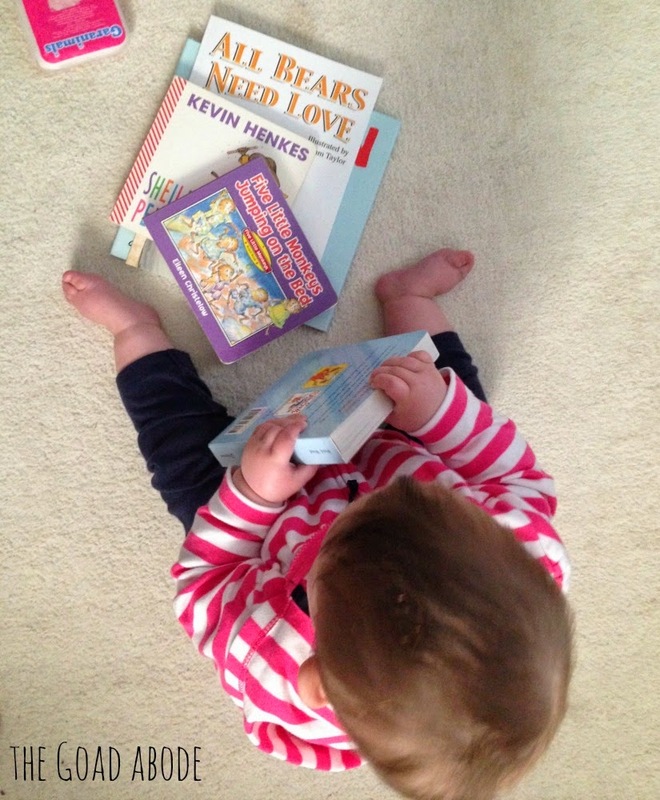 Some of her favorite books are not necessarily baby books meaning they're not board books. We've been trying to read at least one book per day, but of course she doesn't sit still on my lap while I read. Maggie will sit on the floor and I'll sit nearby and read from a book. Sometimes she likes to look at the pictures or help turn the page and other times she's content to just sit and watch/listen. Spoon is a story about a utensil (spoon) who spends a lot of time thinking he'd be better off if he was a different utensil (fork or chop sticks), but he realizes there are good reasons to be himself! All Bears Need Love is the story of a bear who finds a home with bears different from himself, which makes it a great story about adoption. Sheila Rae's Peppermint Stick tells the story of two sisters. The older one is forced to share her peppermint stick when it falls and breaks in half. The Napping House is a spinoff of This is the House that Jack Built nursery rhyme. There's no real 'lesson' to take away here, but it is a fun one to read (if you don't mind repeating yourself). The Jesus Storybook Bible (not pictured) is another favorite and probably the most read in our house. The illustrations are beautiful and I love how familiar stories come alive in a new way!